Brother Mike, the CPA, will receive this coin in his mail about 1/14/19. It is sent for his birthday, the 10th, with love to Mike and all good wishes for those the coin encounters in its happy travels! 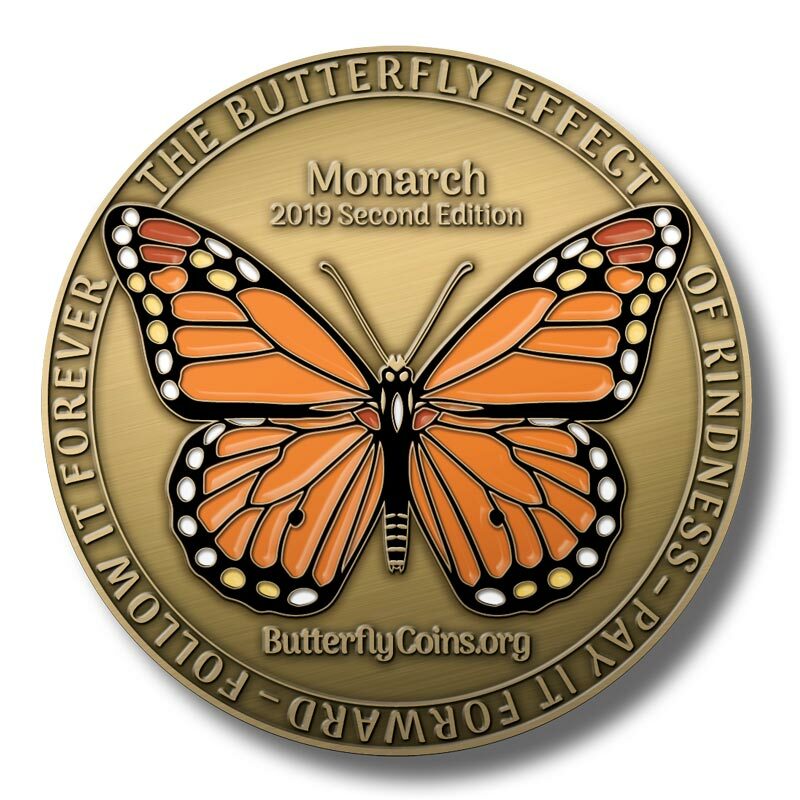 Mike knows so many people in southern California, and he does so many nice things for people, that it will be hard for him to decide who will become the next owner of this transitional butterfly. Hope whoever looks up this coin on the web will keep on telling it's flight story!